« Photo Opps = Social Media Mention! 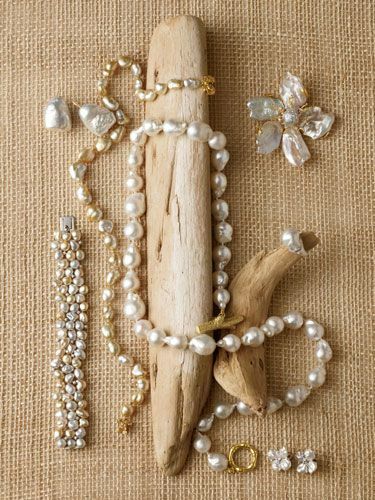 Earthy Elegant. An exercise in branding. What is branding? It’s “a consistent message aimed at consumers’ emotions” and: “There can be no branding without differentiation, which is the ability to persuade consumers that your [shop] differs from the rest,” according to Entrepreneur magazine. If that sounds good to you, create a visual and verbal message that makes your shop stand out from local resale stores and even from online options. Design an ambiance that persuades shoppers that yours is the best place to shop. Creating hang tags for your merchandise, that remain with the purchase, serve as branding and, once in their closet, as a business card. 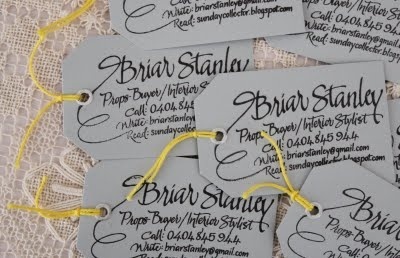 Using a custom rubber stamp makes these easy to create from stock paper tags. Elegance should appear effortless. 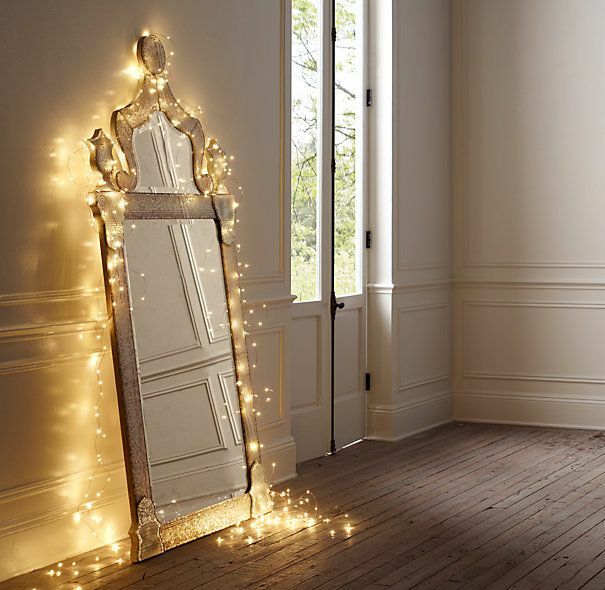 A casually-propped mirror, its romantic shape draped loosely with a string of LED lights, is both a stunning sales floor prop and a needed fixture. Dressing rooms lend themselves to stunning juxtaposition. 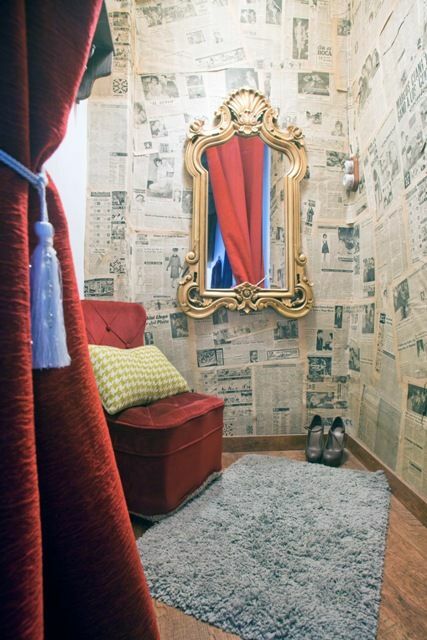 Here, the elegant gilt mirror and velvet curtain and tassel is turned from stiff to earthy with the collaged newspaper wall and a grass-green shag rug. Customers will rave: and you’ll benefit from word-of-mouth! 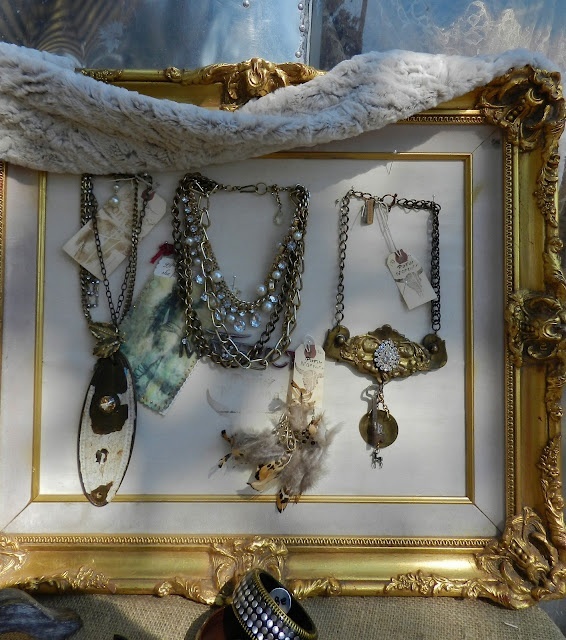 Displays and social media photographs use both natural and baroque props to continue your branding outside your shop’s four walls. Even your shop’s gifts or promotional swag bags can carry your Earthy Elegant branding! Rubber stamp with an appropriate message, then punch and tie with a bit of ribbon. 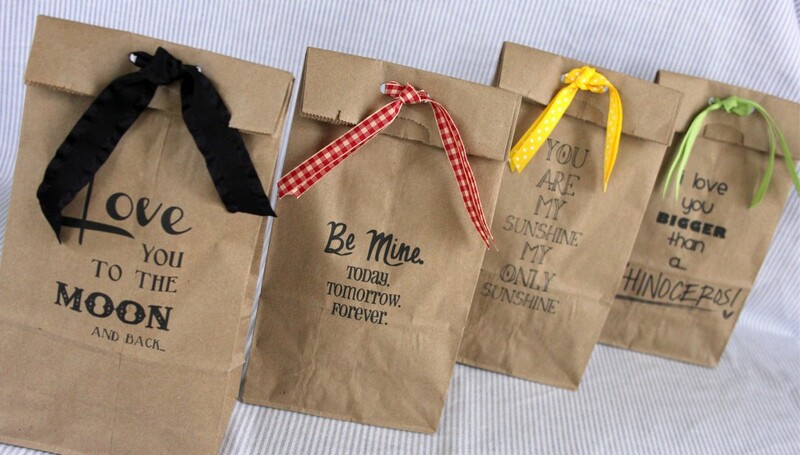 These would be a wonderful match to your merchandise bags and could even be your gift-card packaging. A distinct look that sets your shop above your competitors, that leads customers to pay a bit more, and a fun place to walk into every day. Win-win-win, in my book! The photos used in this post and the earlier one came from Pinterest sources, and you can explore many more resale-industry-specific ideas at the TGtbT Pinterest collection. Auntie Kate, I just love that you use that name. It’s so friendly and approachable. Now where was I…. Ah yes, thank you for sharing your experience and knowledge. I have been in resale twice now. The first time with a thrift shop and now 5 years later a consignment shop. Same state different town. I’m a Plain Jane gal but I’m coming to the realization that I must learn to fluff my style to keep ahead in this game. You help me. You shake me out of my tracks; my lethargy. I want to let you know I appreciate you and that your efforts are not entirely in vain. Thank you for pushing all of us to think outside of our boxes and be the most incredibly successful shopkeepers we can. Thank you, Kitty, it’s so nice to hear a kind word, and to know that what I do makes a difference out there in the world. Here’s to Lethargy takin’ a dirt nap!